On Halloween, we could have spent all day doing our usual ritual of watching “It’s The Great Pumpkin, Charlie Brown!” and anxiously watching the sky until it was JUST dark enough to go trick or treating. 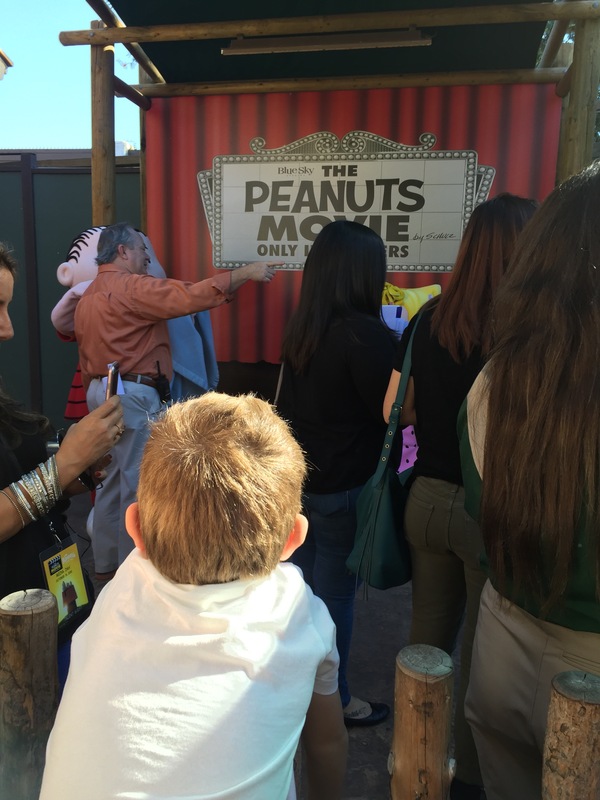 Well, instead I treated my son to a walk down a little red carpet to meet the cast of The Peanut Movie. I mean, when I was his age I was going with Grandma Joyce to the movie theater, not walking up to meet actors and discuss the most beloved crew of kids ever with the kids that voiced them? A traditional casting since the first Christmas special. Can you tell we’re slightly biased? 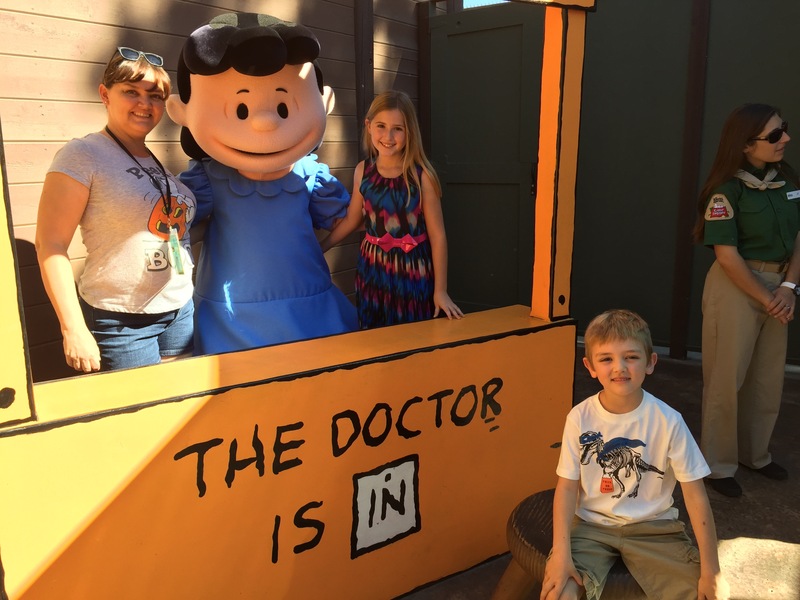 Camp Snoopy at Knotts’s Berry Farm was the perfect setting for this – while my youngest got to ride Huff-n-Puff three times, we waited fora chance to talk with the kids that voiced some of his favorite characters. Wonder Boy got a little tongue-tied upon meeting Noah Schnapp, the voice of Charlie Brown, and Fanchesca Capaldi, the voice of The LIttle Red-Haired Girl (and also plays Chloe on Dog With A Blog). Before we went, we had talked about what kind of questions we could ask them. Wonder Boy wanted to ask them what their favorite scene was, and we decided on asking them about their Halloween costumes since we were meeting them on Halloween. Good thing we decided on questions, because Wonder Boy got tongue-tied and I ended up asking questions for him. Noah was dressing as a vampire, which Francesca picked her costume from Assassins Creed III (which she thought we may not recognize, but Daddy has played all of them). For both of them, their favorite scene in the movie is the last one, which Noah teased as where something happens you’ve been waiting for the entire movie. The only other person Wonder Boy wanted to interview but didn’t get to was the voice of Snoopy. Historically, Snoopy was played by Bill Melendez, who also voiced Woodstock and has many producer credits and other involvement in the cartoons. He died in 2008, so voices for those two characters were carefully created from recordings. I think it’s appropriate that a feature film continue with the legacy. 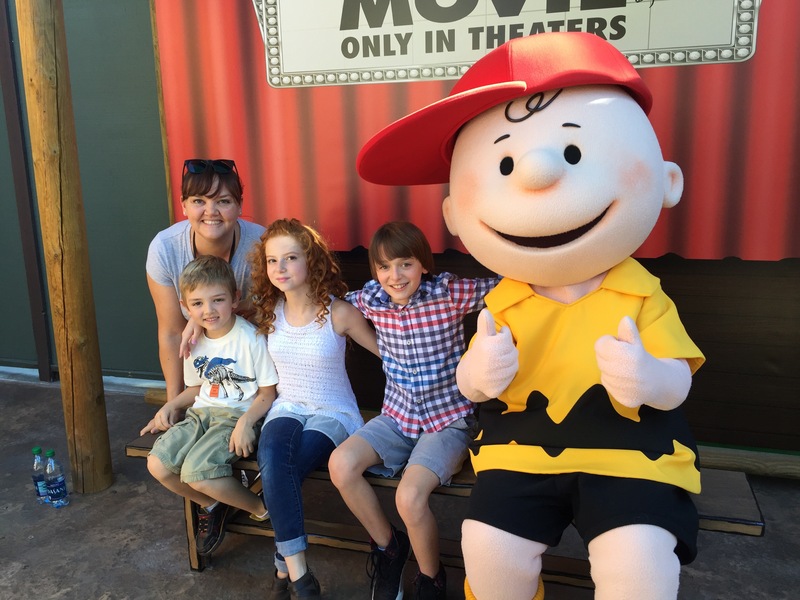 The Peanuts Movie is out this Friday – and we have plans for the whole family to go check out the film soon! Thanks Gigasavvy and Knotts for this awesome opportunity!